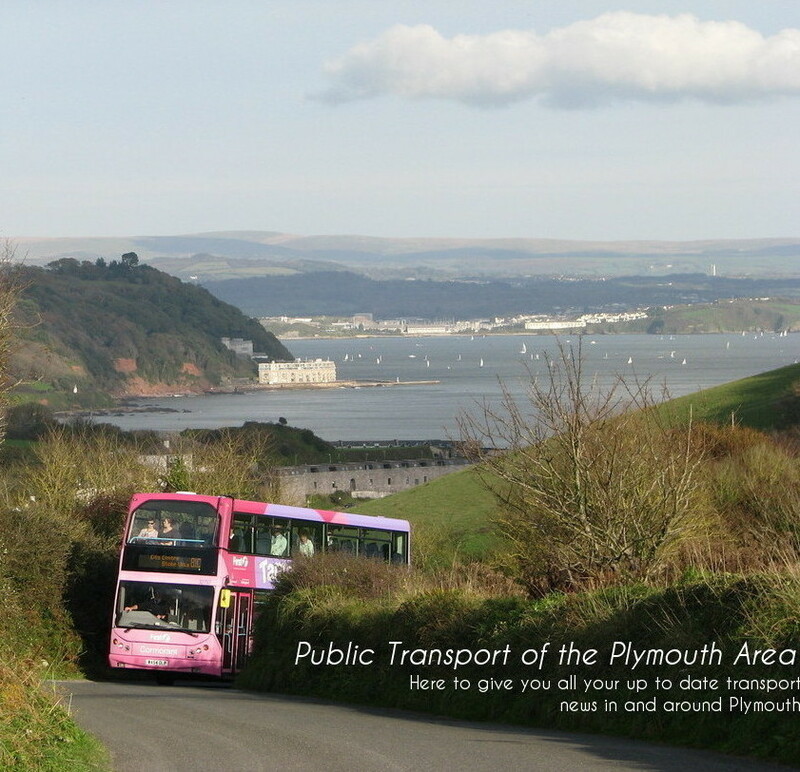 Today was the 100th Aniversary of public Transport in Torquay. I will bring you the full story tommorow but the bus above was particully interesting. The bus above is a Stagecoach Dennis Trident T653 KPU. 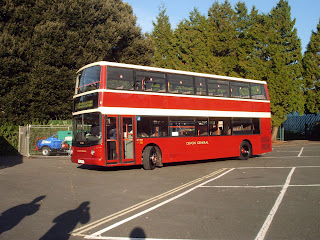 The bus has been re-painted and re-upholstered into an old Devon Genaral livery just for the occation. 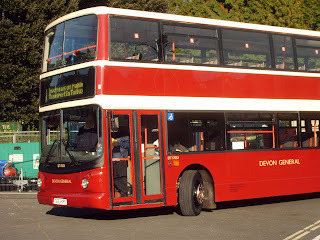 It was done very nicely and I congratulate Stagecoach a lot on there work on this bus. I really am getting to value Stagecoach a lot more and nearly more than First. Because of costomer service, quality of the fleets and there secdual which they acctually keep to.